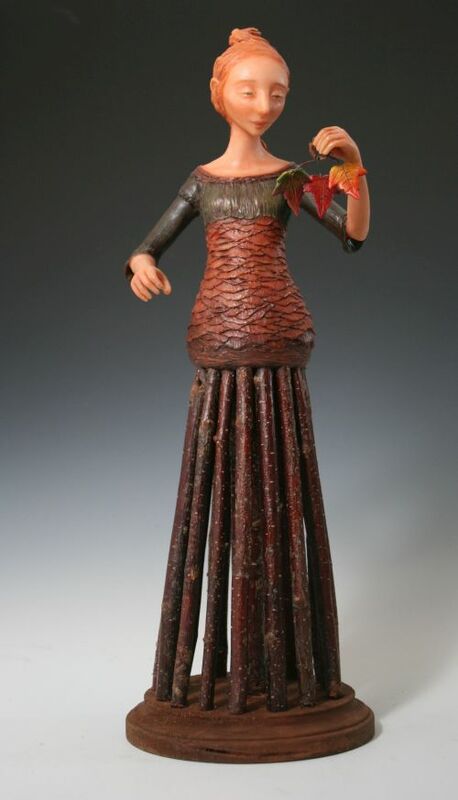 Holly Turner creates her unique sculptures in western NC among the Blue Ridge Mountains. She finds inspiration in the beauty of the mountains, trees and streams that surround her home. Holly discovered her love of sculpting in 1991 as a way to pass time during a summer vacation from college and quickly became a passion. 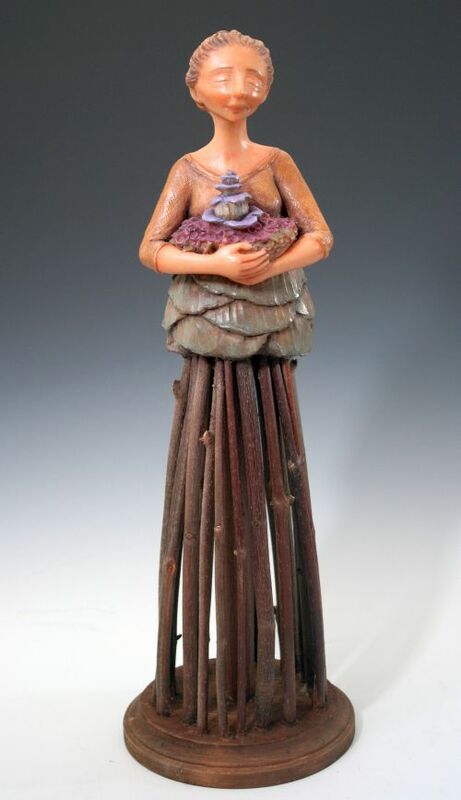 Each sculpture starts out as a lump of polymer clay and is formed over many hours using a wooden carving tool. No molds are used so every work of art is completely original. After the clay has been formed, it is baked in an oven until it is hardened. Then washes of acrylic paint are used to bring out the warmth and character, and finally a coat of finishing wax is applied for protection. 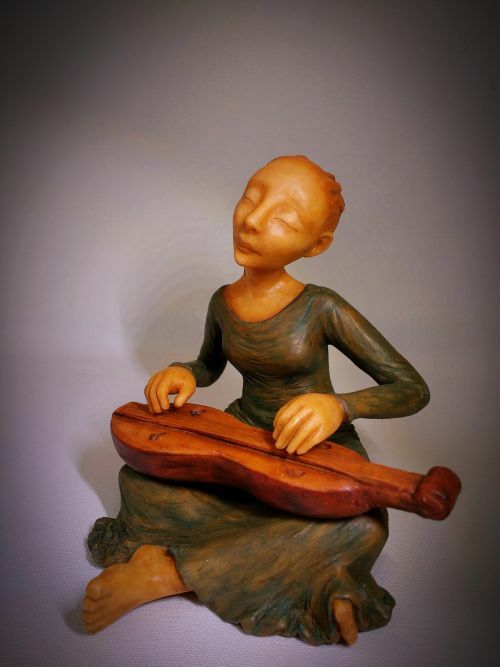 Holly’s favorite subjects to sculpt are people who are full of expression and character. 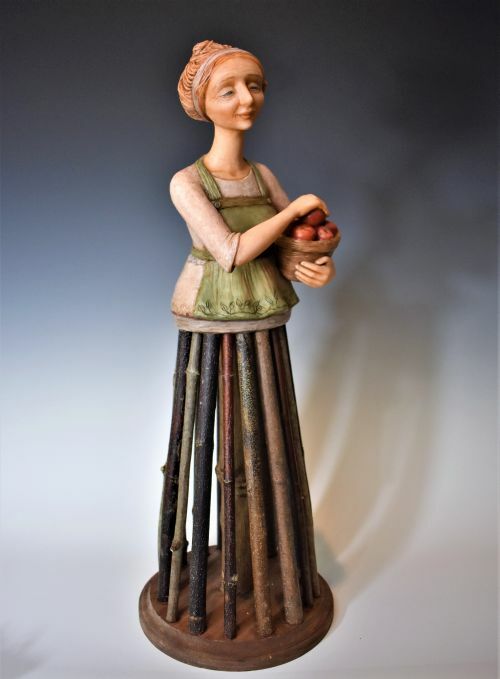 Many of her artworks utilize objects found while hiking such as sticks, tree bark, and vines. 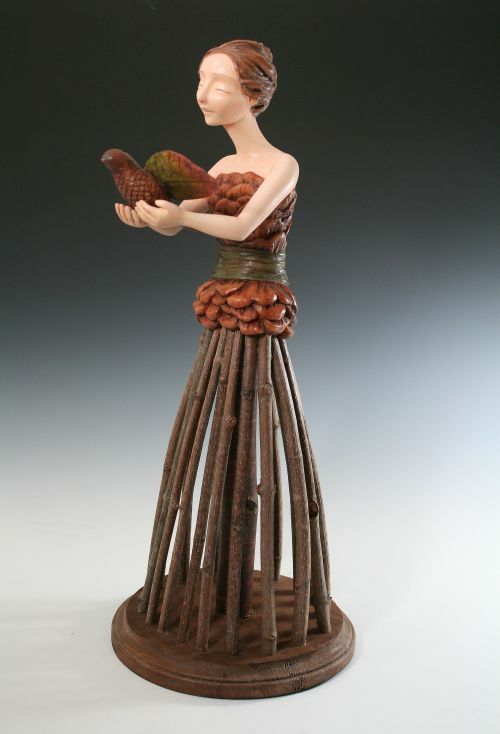 She enjoys the feel of nature that things bring to her art when they are merged with clay.